Honors — Gwynne McCue Interiors, Inc. 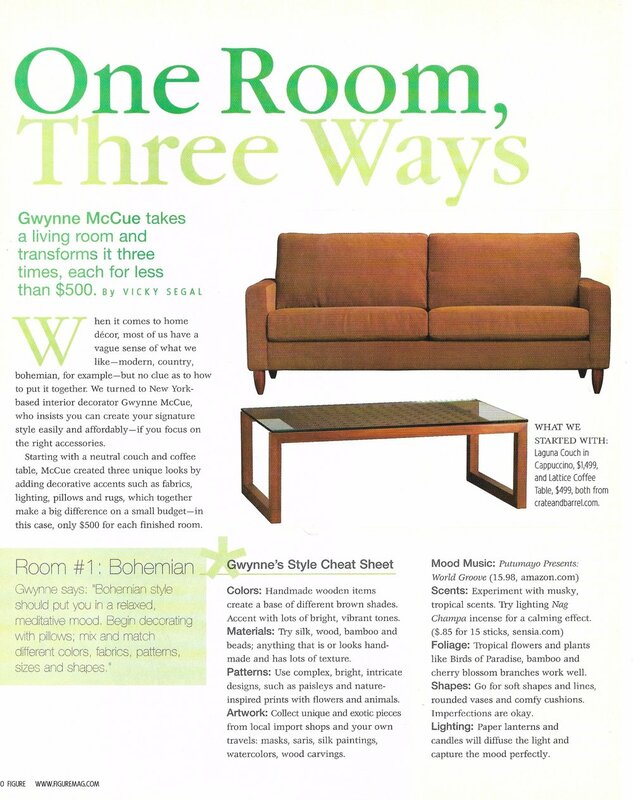 Honors, awards and press for Gwynne McCue Interiors, Inc. We offer Manhattan-based residential interior design services. My favorite reward is the smile on a client’s face when he or she sees how I’ve transformed their home. Better yet are the phone calls when they want to work with me again. I was delighted by awards for two of those special collaborations, and interviewed for my perspective on bath renovations and how to accessorize a room to create a signature look. 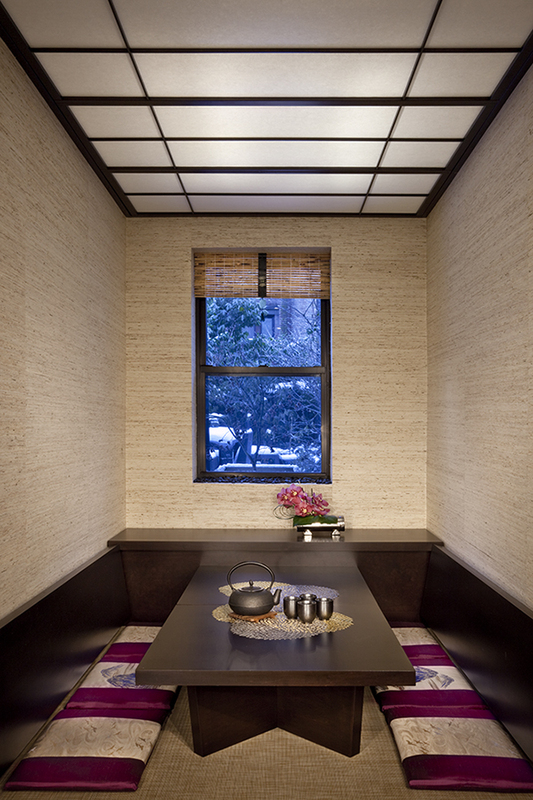 Faced with just 30 square feet for an alcove dining room, I designed a flexible system of seating and tables, hand-built by traditional Japanese carpenters without nails. The hinged bench seats fold down against the walls and the removable tabletops fit on shorter table bases (concealed in the trunk seat by the window). The set can be used for Western or Eastern seating, or as a galley buffet. Rich grasscloth wallpaper, illuminated handmade shoji screens above, and pillows I handmade from vintage obis complete the teahouse effect. We gut renovated a 1930’s bathroom to create a serene palette of whites and greys with upgrades like a radiant heated floor and a custom storage vanity. The new clawfoot tub is set off by a mix of tiles in Thassos marble, seashell, porcelain, ceramic, and glass. New lighting and artwork polish off this bright, personal sanctuary in the heart of the city. Figure Magazine asked me to take a basic sofa and coffee table then style them affordably in three different ways to show how decorative accessories can transform a space. By changing the colors and materials of other things in the room, highlighting the furniture’s shapes or concealing them, and gathering decorative items with a lot of specific personality, I created vignettes that inspired their readers to do the same for themselves.